So I am working up a design for a new 3 wire BB for myself. Woule it be possible to combine the left and right channels into a 4pin ta4f/b4m plug setup. Yep. You can do that. You could even do it with a 3-pin miniXLR, because you really only need one +9V terminal, not two. Cool, thats what i was thinking too. I just talked myself out of it. use a small potting box (.5" X .5" x .35") to wire the mics to a single minature starquad cable, a la the schoeps KCY cable. terminate the starquad into a ta3f. Should be able to get this into a 2.25 x 1.5 x1.375 box. Hey, if you (or anyone else ...) get any leftover cable I could use it for my various "active" projects. Looking at 1% tolerance Metal film resistors. What chemisrty of capacitor is the best for the BB purpose? I use metal film or polyester caps. You can use electrolytic too, just get the polarity right. how much are you asking for those dano? Hey, why don't you build it without a switch. Ie., it is an open circuit until you plug the mics in. I would only use a switch if I wanted: 1) a lowcut/highpass filter, 2) to hardware with mics to avoid connectors. Please post photos once you build it. having the output hardwired won't "turn it on"? Right. The *output* will not turn it on, it is the input (the mics). I say "hardwired" meaning the mics are soldered instead of connecting with miniXLR or other. In this case you'll need a way to turn it *off* when not in use. You can do this with a switch, or my favourite, a sliding battery tray. Just slide in the battery to use the mics. would i need a preamp to go with a pair of sp-at853's and the 3 wire box going into an iriver h120 line in? or would the at853's and the 3 wire box still make it loud enough? anyone have this combo with out a preamp? how much gain do you use from your h120 at a loud show? Obviously, the term "loud" is subjective. 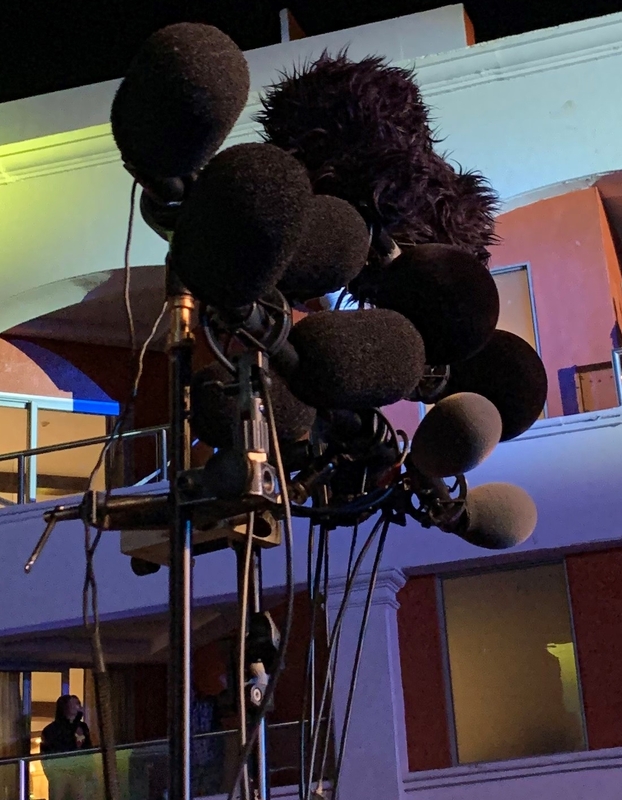 At a local club, with a decently 'loud' PA, I used that exact setup (AT853 > 3wire bbox > iriver LINE In) and had the iriver gain set at between +13 to +17 dB of gain, and my peaks were hitting at -3dB on the latter setting (of +17dB of gain). If I were running the two wire version at that same show, I would estimate only using maybe +5 dB to +8 dB of gain on the iriver. Also, with my AT831s, it seems like the mic output diminished by a solid 12 dB or so (during the pre-3wire modification time period). thanks thats exactly what i wanted to know i just wanted to make sure it wasn't going to make me add so much gain that it would use digital gain. when i said loud i meant to say was, would the signal still be hot enough to just use analog gain on the irver h120. I use about the same settings. Acoustic sets would require ~+30 gain...which is when the iriver pre starts to get a bit sketchy to my ears.